Discussion in 'Announcements & Information' started by Joshua Graham, Jul 23, 2017. We are starting this thread to announce the factions that get featured. These factions earned their featured status thanks to their hard work, showing dedication when managing it and growing each day. The Staff is always looking at the factions, so if you haven't been featured yet, don't get discouraged, yours could be next! Being a featured factions comes with the benefit of having your own Starting Kit for your faction members! The Khans are a tribe of brutally vicious and semi-organized raiders with a culture based around the basic tenets of Social Darwinism. Wear Your Sunday Best With Mauds Muggers! We will pursue the youth throughout the Mojave. Together, we can destroy the Telephone Booth menace!! The Enclave is a secretive political, scientific, and militaristic organization that is descended directly from members of the pre-War United States government, and claims to be the legally-sanctioned continuation of the government, while also styling themselves and their overall demeanor as such. 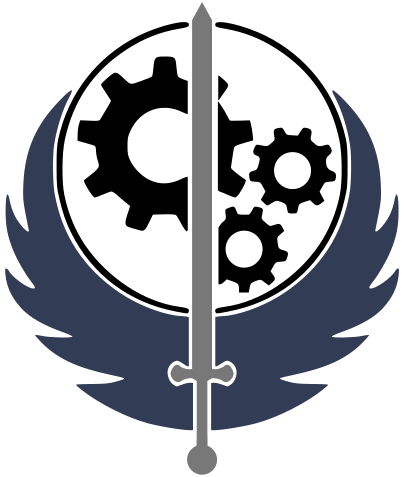 The Auxilia Company is my faction based off businesses. We are not politically based hence why we will not ally or go to war with other factions such as the NCR, legion, BoS etc unless necessary/profitable. The New California Republic is a large, democratic federation of well over 700,000 based in California, with holdings in Nevada, Oregon, Mexico (Baja California) and along the Colorado River. The Brotherhood of Steel is a paramilitary organization, devoted to the recovery and preservation of pre-War technology and information. New Cossacks have been unadded to the featured factions. The Brotherhood of Steel has been added to the featured factions, congratulations! Old Caesar's Legion has been removed from the list.